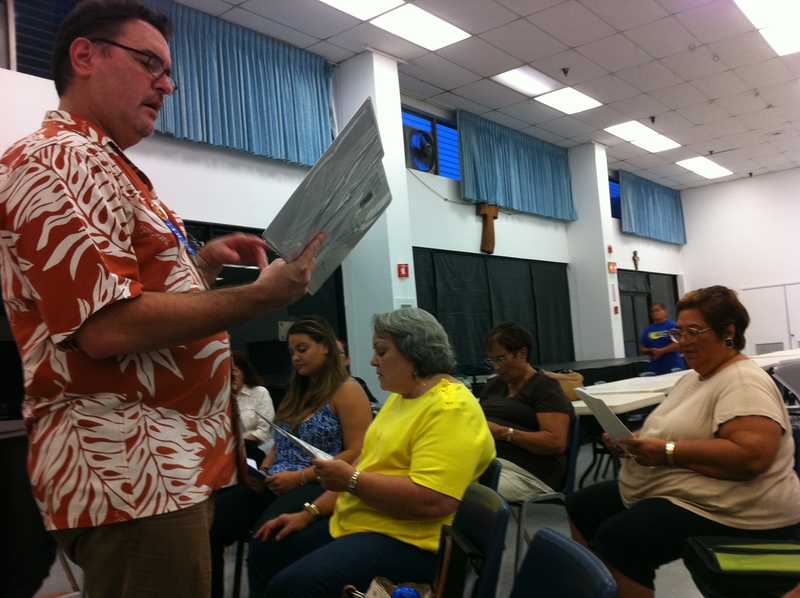 Practice for convention ‘Aha Mele competition began Sep. 9 at St. Francis in Mānoa. A good crowd gathered for the night’s session. 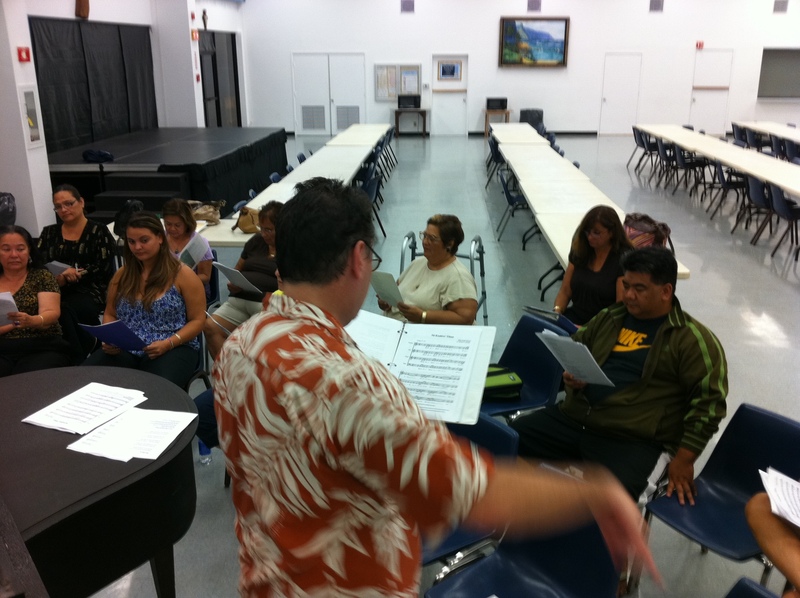 Songs for this year’s competition are Nā Kuahiwi ‘Elima (Ho’okena version here) and Hu‘ehu‘e. 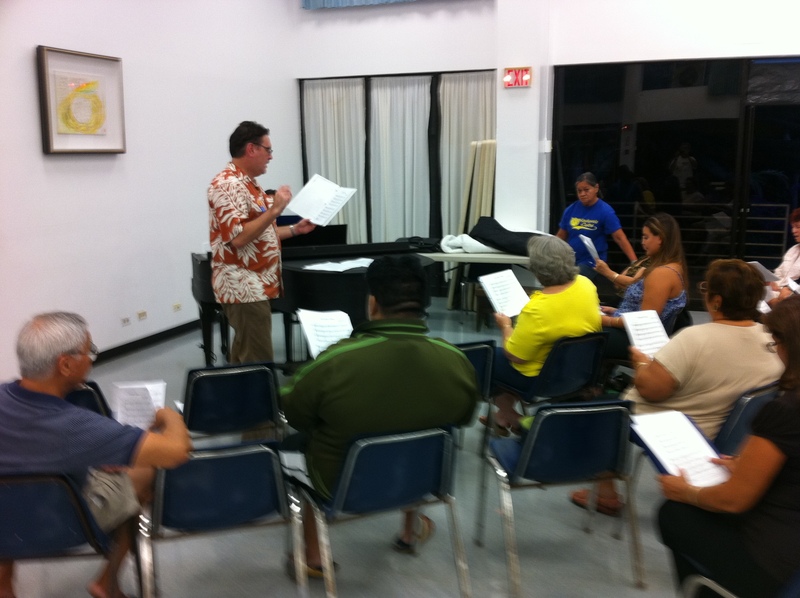 Choir Director Manu Boyd is being assisted by Robert Mondoy. 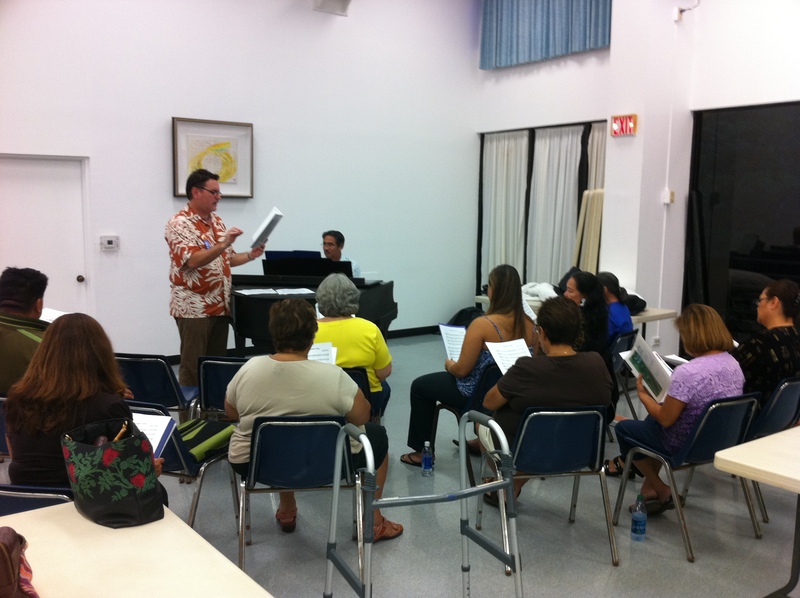 Practice is scheduled for every Thursday at 5:30 p.m. from now until convention. Be there! Robert Mondoy prepared MP3 and MIDI music files of the four parts, plus a combined four-part version for download from his website, www.mondoymusic.com.